Not for first time, one of the most remarkable personalities in the global research industry is speaking at a conference in Singapore. This time, during his session at the Market Research in the Mobile (MRMW) APAC conference (4-7 March, 2014), Ray Poynter will highlight how Google Glass can be used in market research. On the second day of the conference, he and David Zakariaie, CEO of Glassic, a pioneer within Google’s Glass Explorer program, will elaborate further on how Google Glass can help market researchers and demonstrate various functions of this wearable device. 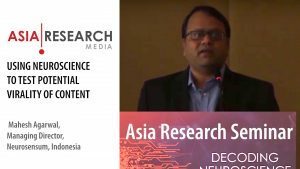 When asked why the MRMW in Singapore is a never-to-be-missed event, he particularly points out that you will get the latest thinking and the latest information about mobile research. 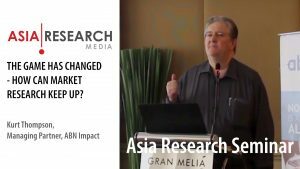 “I am really looking forward to hearing more about what is happening in APAC”, he says, “because mobile and APAC are changing so fast that the only way to stay connected is to attend MRMW”. 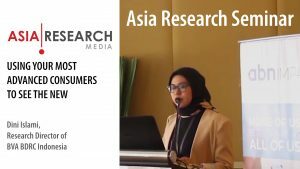 About MRMW: Market Research in the Mobile World is back in Asia for the eleventh international conference taking place 4−7 March 2014. The main conference takes place on March 5th/6th. The event is trusted by over 3000 visitors worldwide. Not yet registered? Make use of this exclusive promotion code for Asia Research readers. Enter promo code: ARM15 when registering.